After at least a decade and a half of stagnation, the working-class movement of Turkey is making a great stride forward, thanks to the militant action of the workers of a now privatised former state economic enterprise, Tekel, the state monopoly of tobacco and alcoholic beverages. The resolute and tenacious fight put up by the 12,000 Tekel workers and their families has made an electrifying impact on major sections of the working-class. 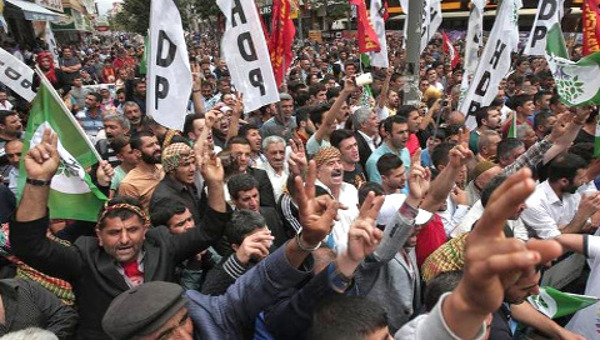 Despite the dogged resistance of the top bureaucracy of the Türk-Is union confederation, the biggest of Turkey, to which the Tekel workers’ union is affiliated, the pressure for a general strike is mounting. Given the immense social and political contradictions Turkey has been subject to within the last few years, this new awakening of the proletariat adds still another tension to a society already torn apart by strife and dissension, but is susceptible to change the whole chemistry of the country and to create the possibility of a progressive resolution to the already existing problems. The background to the Tekel conflict is the privatization of the company, completed in early 2009 despite strong resistance put up by the workers. British-American Tobacco, the new owners, sacked thousands of workers, who are now to be transferred to low-wage jobs in the public sector without any job security. To many Tekel workers, this means a complete destruction of the standard of life they had built over the years. What they are now fighting for is the preservation of their wage level and their status as permanent workers. Tekel is a big company whose factories were spread all around the country. Workers from 43 factories and workplaces from 21 cities have been putting up a resolutely militant fight in the capital city of Ankara for 38 days now. They are living in makeshift tents outside Türk-Is headquarters in the freezing cold of winter. A clear sign of their resolution came through during the poll the union took a fortnight ago (called a “referendum” in Turkish union terminology), asking the workers whether to go on fighting or to quit. Although the workers had already two dozen days behind them, there was not a single vote to quit among those in Ankara and in the provinces the “go on fighting” vote reached the proportion of 99.6 per cent! The timing of the struggle helped raise the solidarity action of the rest of the proletariat. For one thing, public employees (who are organized in union confederations of their own) had staged a sector-wide one-day strike at the end of November. 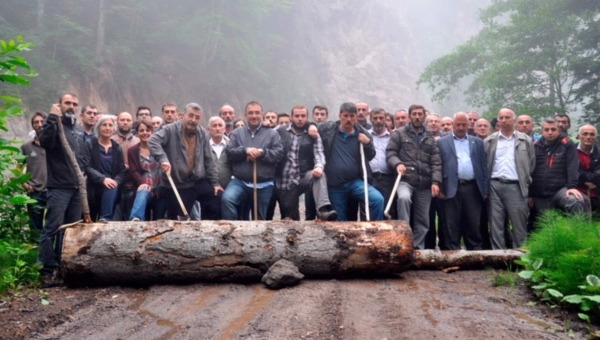 Since public employees have no right to strike under Turkish legislation, the state tried to persecute some sectors, but especially state railroads employees started to fight back militantly in action that coincided with the beginning of the Tekel struggle. Other sectors of workers and public employees, especially firemen in Istanbul, also joined this new wave of militancy. Soon, unions and workers across the spectrum were displaying solidarity with the workers of Tekel. 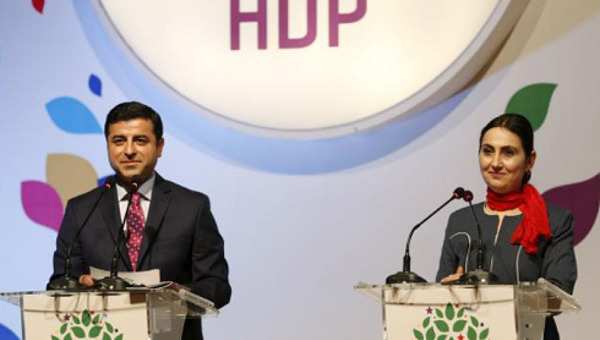 Even Türk-Is, whose leadership is divided between a strong right-wing faction and a minority soft left tendency, had to pay lip service to the heroic fight of the Tekel workers, declaring, but not consistently implementing, one-hour work stoppages every Friday. The government’s intransigent attitude in the initial phase played into the hands of the Tekel workers. The ferocious attack by the police (using tear gas, pressured water and clubs) on the workers on the fourth day of the struggle created a backlash not only within the working-class but also among the people at large. In the face of growing support for the workers, the government felt it had to make some concessions, but these were definitely of a token nature. The semi-Islamist (and entirely neoliberal) AKP government feels it cannot yield to the demands of the Tekel workers simply because this will have repercussions in other sectors, such as sugar and energy, where privatizations are in the pipeline. The quasi-unanimity of the workers in the union referendum gave a clear mandate to the union to step up the fight. Thus began the second stage of the struggle. The entire work force of twelve thousand was brought to Ankara along with their families and held overnight vigils throughout 72 hours, culminating in a demonstration organized by the Türk-Is confederation. Close to 100,000 workers participated in the march and demonstration, the biggest such event since 1999. The crowd frequently chanted slogans that supported a general strike. The President of Türk-Is, a certain Mustafa Kumlu, catapulted into this position by the governing AKP, made an anodyne speech, simply lamenting the situation the entire working-class finds itself in and saying nothing concrete about the way forward. The indignation this created pushed the Tekel workers to mount on the stage built for the purpose of the demonstration. From that moment on, for close to an hour, there ensued a tug-of-war between the thousands of Tekel workers and the thousands of members of socialist groups (union contingents had already left the square), on the one hand, and union bureaucrats of different ranks, on the other. The workers repeated unceasingly a slogan that had originally borne the mark of the socialist left: “General strike, general resistance!” The bureaucrats, for their part, tried to bring the workers down from the podium and get them to disband and go home, alternatively cajoling and threatening them. Finally, a unionist from the Türk-Is leadership promised to take the demand for a general strike to leadership bodies, to which the crowd duly replied by another slogan: “Kumlu has to come and promise us a general strike!” This paralysed the bureaucrats. But in the end, a clever bureaucrat had the idea of threatening the workers with a police attack – after all, the “official” demonstration was over and the police disposed of the legal right to disperse the crowd. Thus came to an end this unusual public revolt of the workers against the union bureaucracy. Whatever the outcome in the coming days, this single episode has placed the Tekel fight in the annals of class struggle in Turkey. This was the first time when workers openly revolted against the bureaucracy during mass action, which of course will send shivers through every bureaucrat in future actions of a similar dimension. This revolt heartened workers in other sectors and widened the fissure within the confederation bureaucracy. Now, bureaucrats of all stripes are talking about a general strike. (It is perhaps in order to point out that general strikes are outlawed in Turkey, a country that has almost no established tradition of this kind of action. So a general strike is a much more explosive event in the Turkish context than in many other countries.) 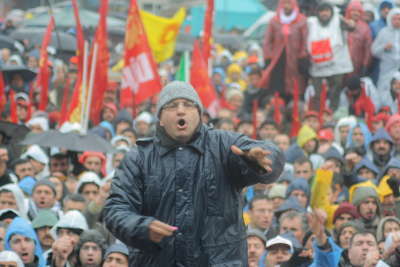 As of the 38th day of the struggle, Türk-Is has today come together with other workers’ and public employees’ unions to issue a warning to the government: Either do something by Tuesday the 26th or we will have to go on a “solidarity strike.” It seems we are finally on a descending slope toward a general strike (by whatever name it is eventually called), a very radical move by Turkish standards. Currently some 140 of the workers are on hunger strike, with thousands more wishing to join in but prevented from doing so by the unionists and sympathising doctors, who fear that, after close to 40 days of exhaustion in the freezing cold of Ankara, many a worker might already be in bad health. Turkey has lately been shaken by powerful contradictions that have brought the country to the edge of the precipice. Three major contradictions tear the country apart. A first is the ongoing struggle for the repartition of surplus-value and economic power between the two wings of the bourgeoisie, the dominant Westernist-secular wing and the ascending Islamist wing, has reached the proportions of a political civil war, bordering, in recent months, a military conflict on several occasions. Another is the quarter-of-a-century old Kurdish war has now apparently entered a new stage. All throughout the years of guerrilla warfare waged by the PKK (Kurdistan Workers’ Party) against the Turkish army, relative calm reigned within society itself. But now evidence mounts that there is a growing danger that Turkish chauvinism against the Kurds, fanned consciously by the state and all of the bourgeois political forces, may result in the lynching or wholesale massacre of Kurds, possibly leading on to ethnic civil war, this despite the so-called “Kurdish overture” of the government or perhaps because of its restricted nature. And, finally, in the background lurches the prospect of Turkey becoming more closely a part of the U.S. war drive, be it in Afghanistan (where Turkey already has troops, but no combat mission), Iraq (where some of the former duties of the now withdrawing U.S. troops may be turned over to Turkey), Iran (whose alleged nuclear armament efforts seriously disturb the secular Turkish army) or Georgia (in its conflict with Russia). This prospect has direct bearing on Turkish domestic politics and is conditioned by the other contradictions in its turn. Under the stress of these three sets of contradictions, Turkey has become a powder-keg. It is in this bleak context that the awakening militancy of the working-class should be situated. We have been saying all along that it is a new class struggle front that alone will create the potential to resolve in a progressive direction the many contradictions that beset Turkey. This claim seems ripe for testing. The Tekel struggle also reorders society along class lines. Up until very recently, Turkish society (excluding the Kurds that is) was divided in its sympathy clearly between the two camps of the bourgeoisie. Now a distinct working-class position is overtaking these two allegiances.